I’m convinced that snatching everyone’s wig is just something the creators of Fenty Beauty planned for every release. Im convinced. No matter what shade your skintone is, or what style you like your makeup, they literally always have products that will work for you! + Description (via Sephora.com):An ultra-slim lipstick with a long-wearing, petal-soft matte finish, created in a rainbow of weightless, color-intense shades designed to flatter all skin tones. 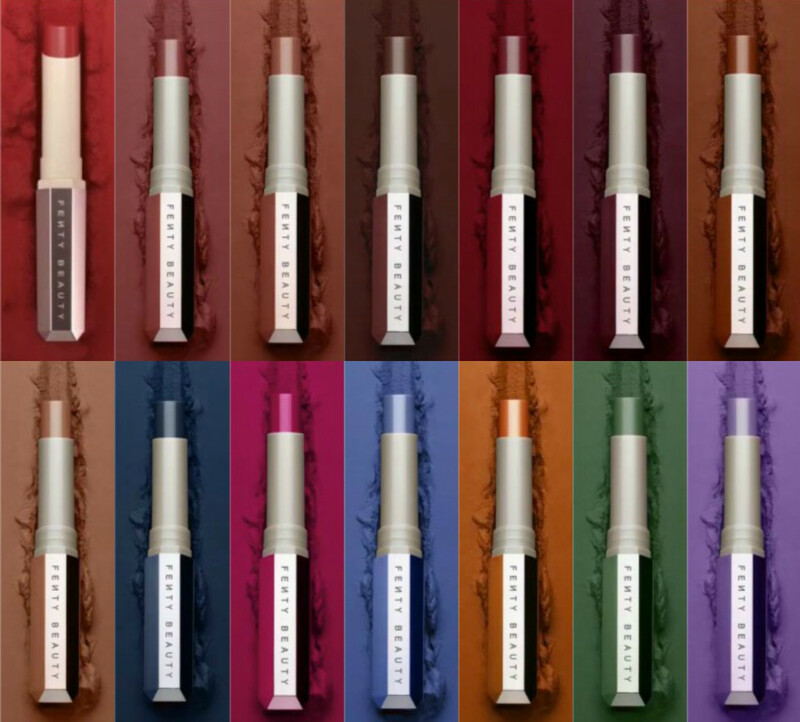 Rihanna wanted to make the matte lipstick of your dreams a reality: Think mega rich color minus the weight. The ultimate light-as-air texture glides on creamy and stays put—no bleeding or feathering after application—with a velvety-soft matte finish inspired by a rose petal. And thanks to Mattemoiselle’s chic, slim design, you can effortlessly define lips with the ultimate control for lips that look fuller with every stroke.